If you are searching for a show quality Doberman, please move on to the next ad. But if you are looking for a beautiful and unique happy healthy well socialized Doberman that will turn heads and be a loving protective family member then you are looking at the right puppies. 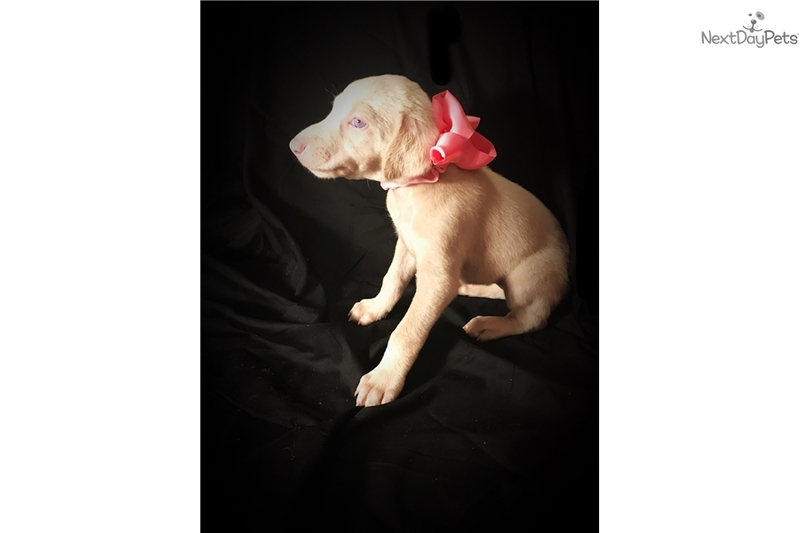 This is one of 2 female White Doberman puppies. She I s white with gorgeous blue eyes. These puppies have amazing personalities. They are all outgoing, social, and loving. They have been raised in our home with our 8 children. All of them have seen our vet to get their tails docked and will be receiving shots and deworming by our vet as well. If you would like her ears cropped, it is optional and available through my veterinarian for an additional $500 although you would be liable for any post surgical care and veterinary checks ups. This incredibly beautiful girl will be available to go home in 2 weeks when she is 8 weeks old. Delivery to Marietta GA would be free. Any other areas would either need to pick the puppy up themselves or can pay a shipping fee of $450.